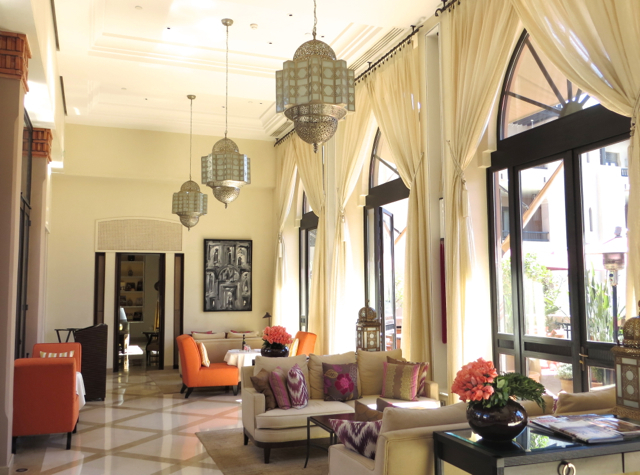 We were happy that the Four Seasons Marrakech is conveniently located just a 9 minute car ride from Marrakech Airport. 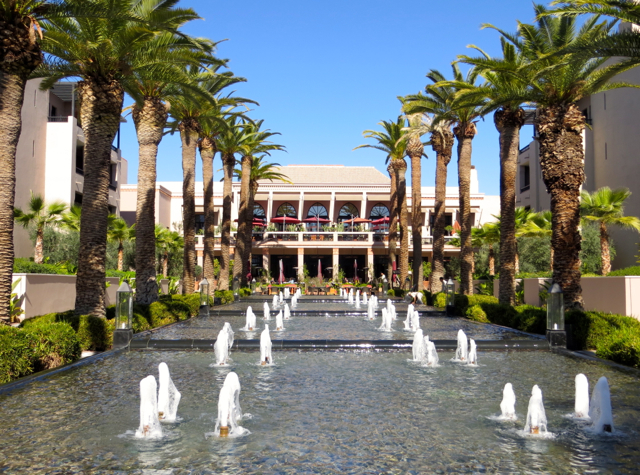 Passport Control at the airport wasn't terribly efficient, but everything after that, from meeting up with our friendly driver and checking into the Four Seasons Marrakech, was a breeze. 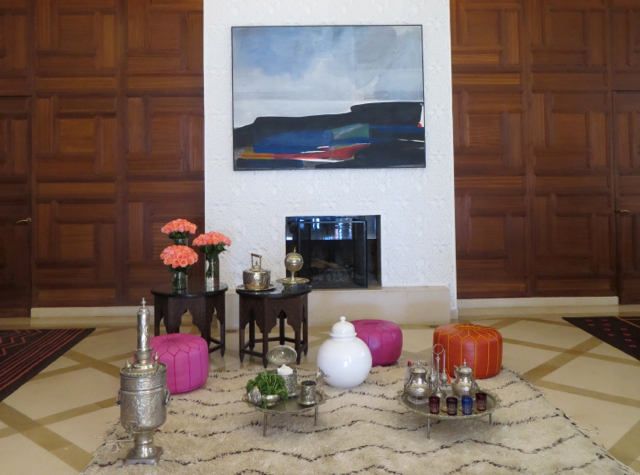 Reception and the Concierge is located directly in front of you, with rose bouquets and traditional Moroccan tea served. There were other guests at reception and the concierge desk, so I left them out of my photo, but reception is on the right as you enter, and the concierge desk is on your left. We were checked in inside the light filled lobby, which again has a stunning floral display reminiscent of the Four Seasons George V Paris. 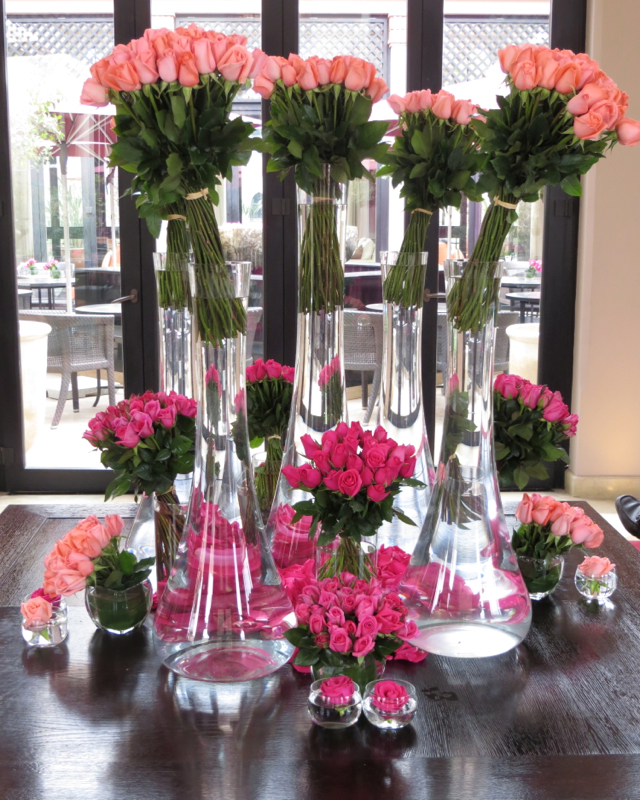 And no wonder, since Jeff Leatham has actually been to the Four Seasons Marrakech and consulted with its in-house floral team. 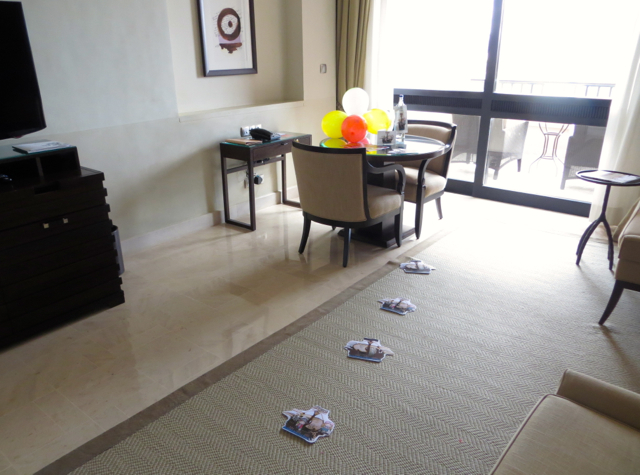 Before long, we were on our way to our Premier Room, on the third floor. 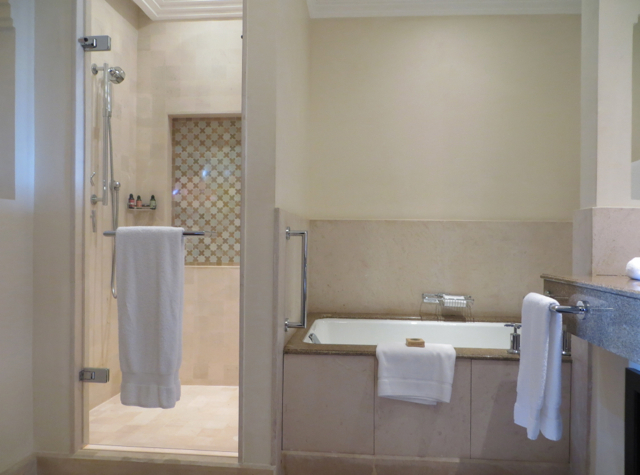 The Four Seasons Marrakech encompasses 40 acres, yet only has 141 rooms and suites, so there's plenty of privacy. 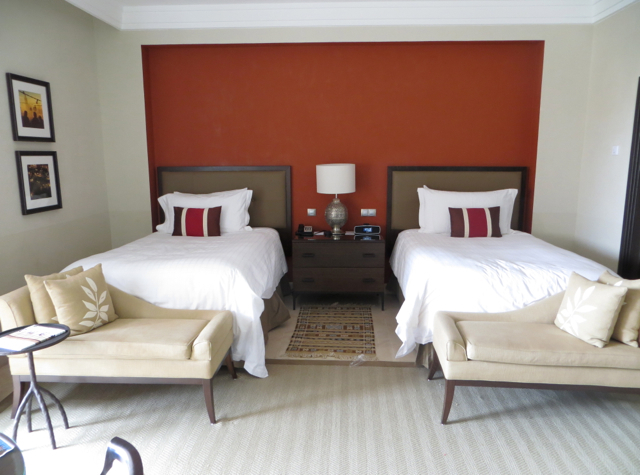 We only occasionally heard our neighbors (who also had a kid) coming to or leaving their room, but otherwise it was blissfully quiet and we never heard any noise from neighbors who were in their room. 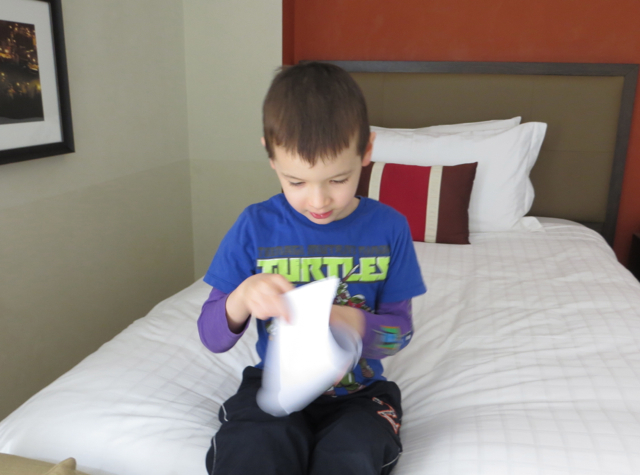 And after unfurling the clue on the bed, it was time to check underneath the bed for some treasure! Since it was February, it wasn't hot by any means, but it seemed positively balmy compared to our freezing winter weather in NYC. We enjoyed an al fresco snack while taking in the view. 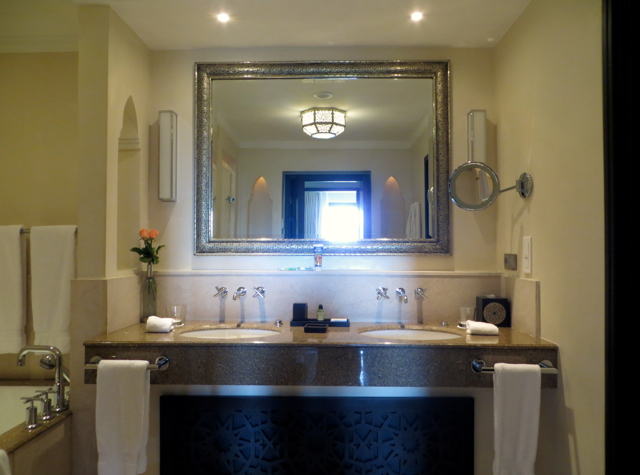 All of the marble bathrooms at the Four Seasons Marrakech feature dual vanities with his and hers sinks, which I think is great–no more waiting turns to brush teeth or wash hands. 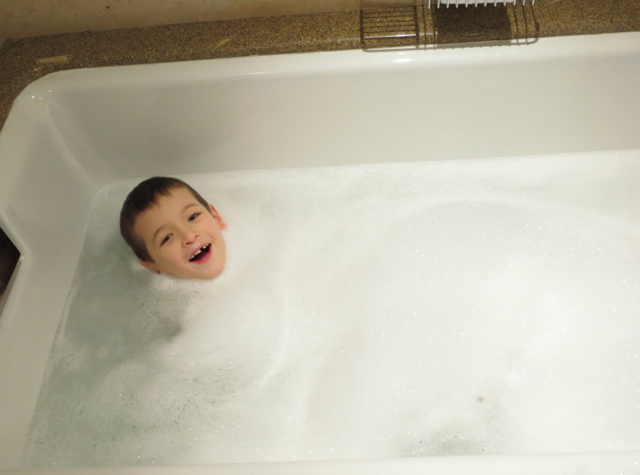 I enjoyed the L'Occitane bath amenities, and used the bath gel to make a bubble bath for the munchkin. While there wasn't an espresso machine, there was a hot water kettle to make tea, with tea sachets and Nespresso powder supplied. And although for once I'd remembered to bring the proper plug adapter with me, I was happy to see, just as at the Four Seasons Paris, there was an adapter in the room. 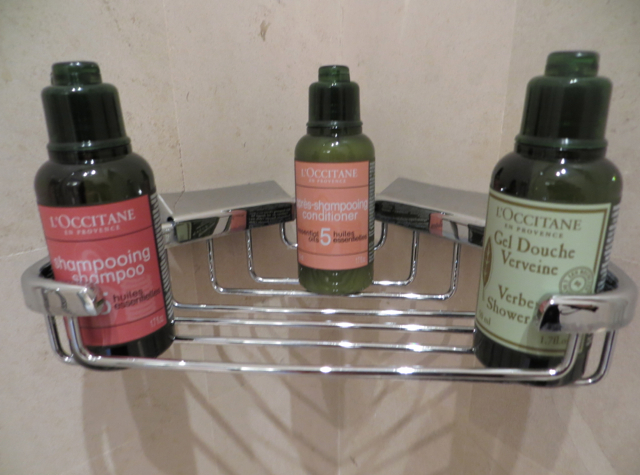 The Four Seasons is all about attention to detail, and it's so nice not to have to call Housekeeping or the Concierge to borrow an adapter, in case you forgot to bring one. 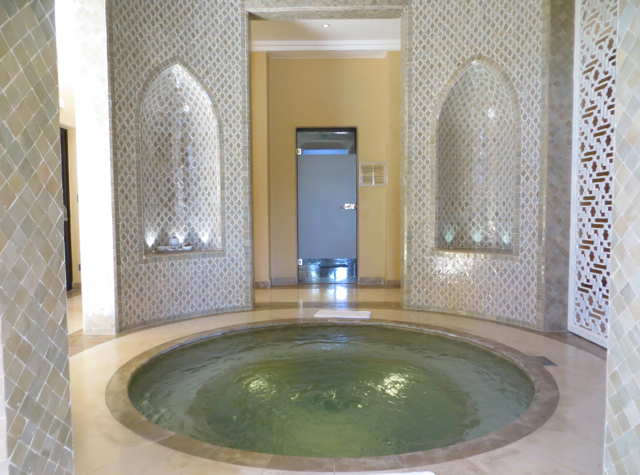 The Spa also looked incredibly inviting, and had we stayed longer, I would have treated myself to either a massage or a traditional hammam experience. 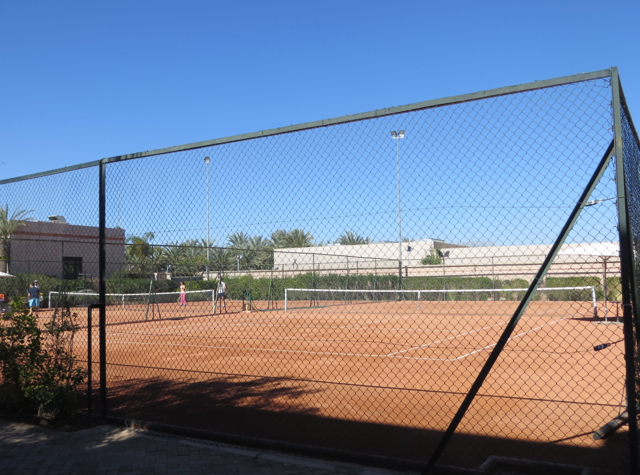 Tennis players will be happy to know that there are two clay tennis courts. There's a fee of 170 MAD (~$20) to rent the court for an hour if you're not paying for a lesson, but racquet rental is complimentary. Both kids' and adult lessons are offered, for a fee. This was a highlight! I'll be writing a separate review of Solano, where we enjoyed the extensive buffet breakfast daily, as well as a special Moroccan feast. 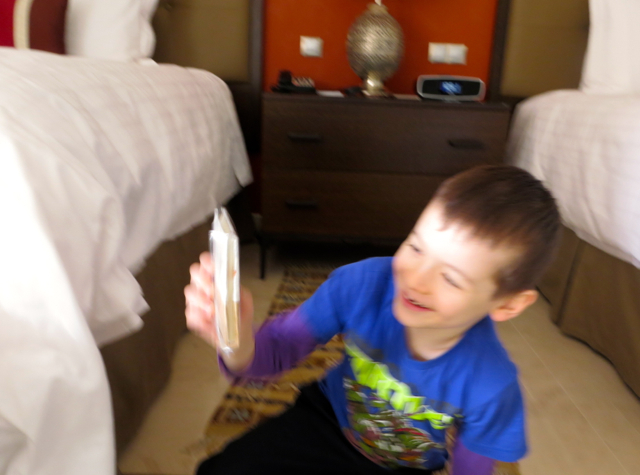 The Four Seasons Marrakech is one of my son's favorite hotel stays ever, thanks to its superb Kids for All Seasons Kids' Club (entirely complimentary). 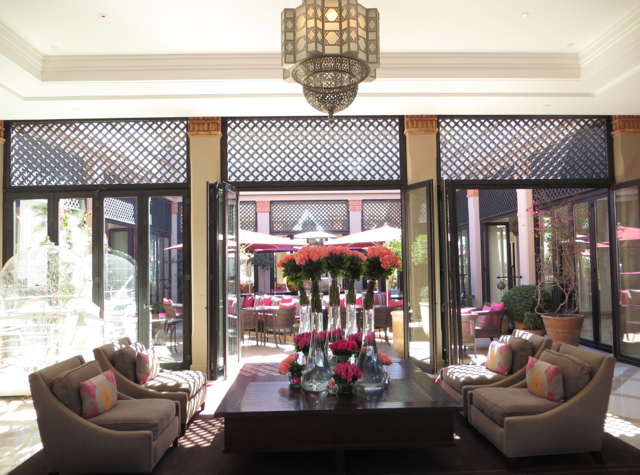 What I loved were the beautiful rose arrangements that greeted us at every turn, with Moroccan design elements and the special Moroccan feast night providing a sense of place. 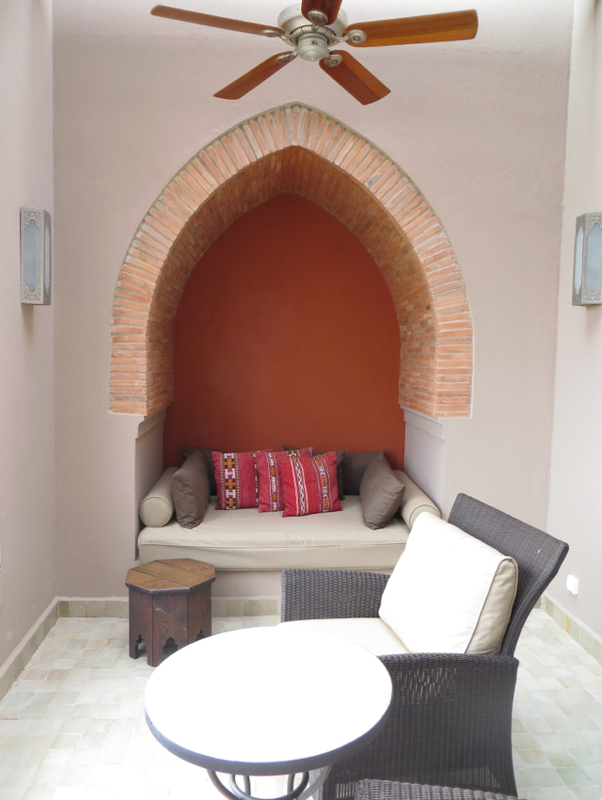 Our room was very comfortable and done in neutral tones that echo the natural desert colors of Morocco, leaving the focus on the view of the lushly landscaped resort and the Atlas Mountains. And thanks to the expansive grounds of the resort, separate family and quiet pools, kids' club and young adult center, and beautiful spa, this is a resort that successfully appeals to both couples seeking a romantic escape, as well as families with kids or teenagers. The only minor issue we ran into were some ants that apparently loved my son's orange flavored toothpaste. Once we disposed of that, the ants weren't around. It was actually somewhat comical–we were raving about how flavorful the oranges and orange juice in Morocco is (thanks to the abundance of orange trees)–so it stands to reason that the ants would love oranges too. 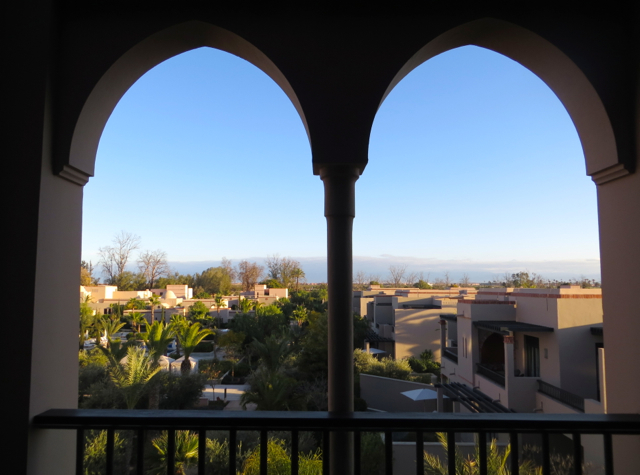 Disclosure: My family and I were guests and enjoyed a complimentary stay at the Four Seasons Hotel Marrakech, however the views expressed in this post are my own.